Save $50 on the Levana Safe N See Advanced Digital Video Baby Monitor! As much as we all wish we could just sit and watch our little ones all the time we know it just isn't possible. I LOVE Digital Video Baby Monitors to help keep an eye on baby when you can't be right there with them. 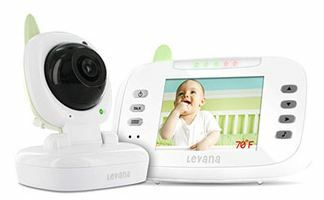 Right now you can purchase this Levana Safe N' See Advanced 3.5″ Digital Video Baby Monitor for only $99. That's 33% off the list price of $150! Even better, Shipping is only $0.97!